As a busy wife, mom, blogger, DIYer who works part time, it's a good day when I serve my family a nutritious, delicious meal (we eat way too much of stuff like this). 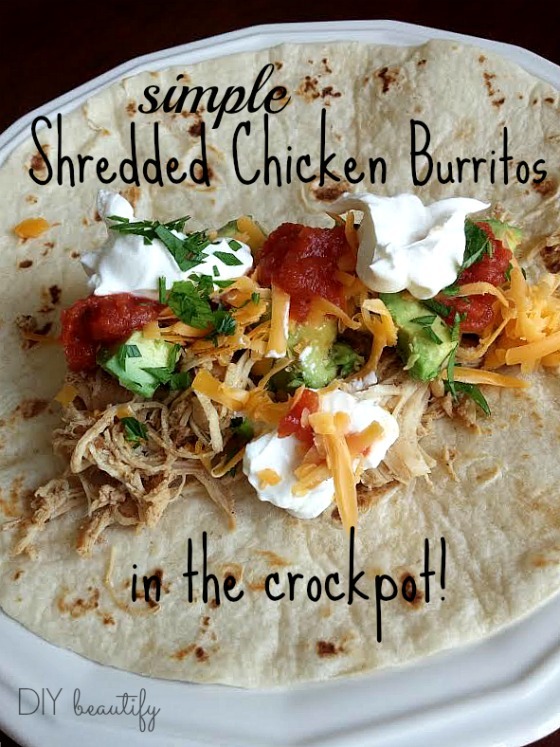 Enter this easy, amazingly delicious Shredded Chicken Burrito recipe...that's made in the crock pot! While you work. Or Clean. Or Blog. Or DIY!! 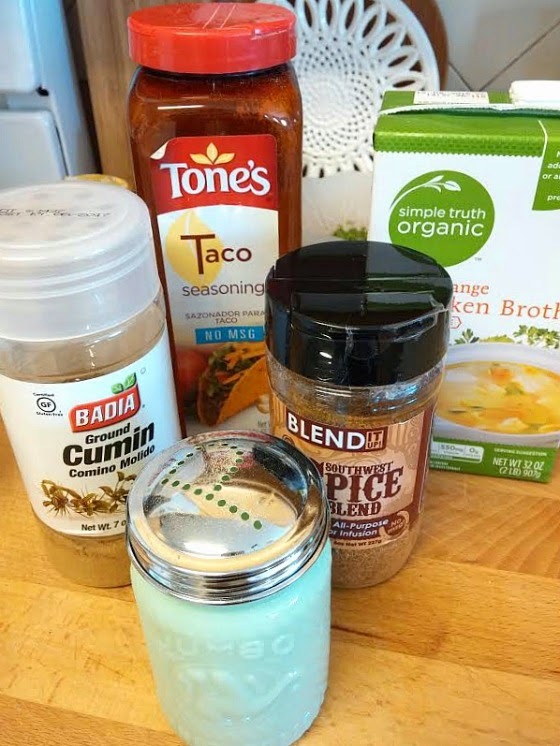 I created this recipe out of desperation one day...and it's been a favorite ever since! It even uses frozen chicken...you dump it all into the crock pot in the morning...and have a tasty meal with minimal prep at dinner. 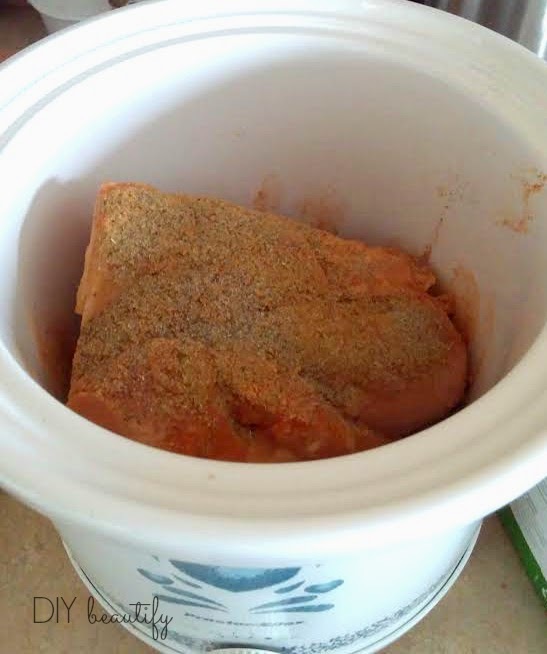 Put your frozen breasts in the crock pot and shake seasonings over top. Just like this...a big lump of frozen chicken with spices on top! Close 'er up and let cook on HIGH for about 8 hours. If you know you'll be gone longer than that, use LOW heat. The smell will make your mouth water and your tummy growl, guaranteed!! I like to use chopped parsley, avocado, shredded cheese, sour cream and salsa as garnishes. (I slice my avocado as shown above, then scoop it out with a spoon). 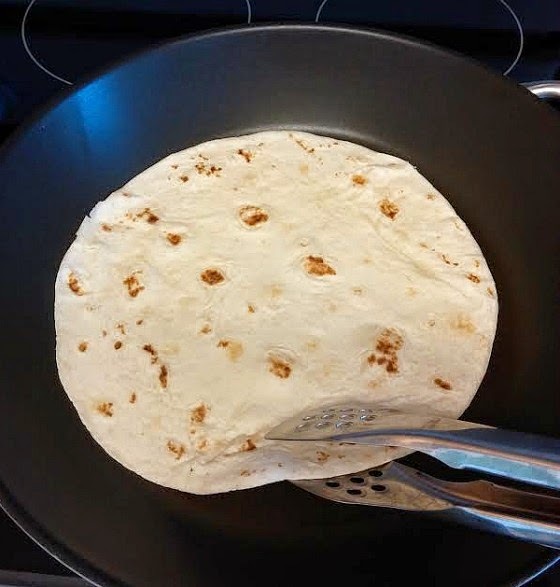 You have to do this one by one, but if you have a 'burrito station' set up with cheese, salsa, avocado and other toppings, you can pass a plated tortilla off and continuing heating while everyone fixes their burrito the way they like it! Eat and enjoy your hard easy work! This is one meal where my daughter actually licks her plate clean, lol! Kid approved! 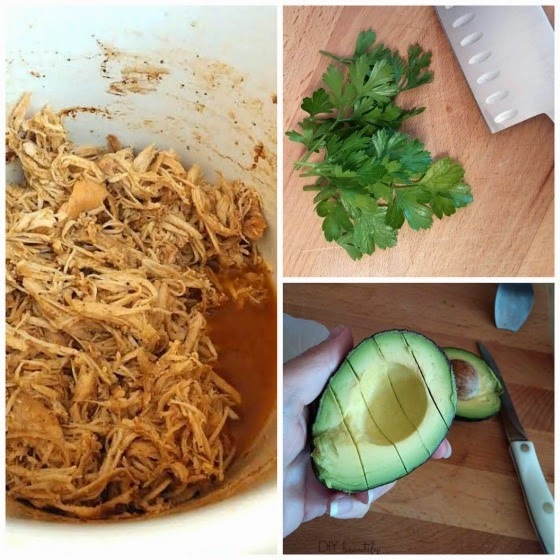 I hope you try this simple but delicious meal. You won't be sorry! This will be our dinner tonight! I've been craving Mexican food since last week! We had chicken enchiladas tonight for dinner - I too could eat Mexican food every day. Good stuff. My husband texted me this afternoon and offered to make his special recipe. Now that wasn't a hard one to say, "Yes!" to. Remember the Beefy Tostatas Taco bell used to sell? Those are one of our faves. We get the hard shell flat tostada shell at Aldis when they have them. Easy and so good! my mouth is watering, sounds so good!!! Yum! Love this! Throw it together and deliciousness occurs. Thanks so much for sharing with SYC. Pinned. These sound so yummy! They look amazing. I'd love to make these, I don't eat a lot of red meat so this is perfect! I'm pinning it! 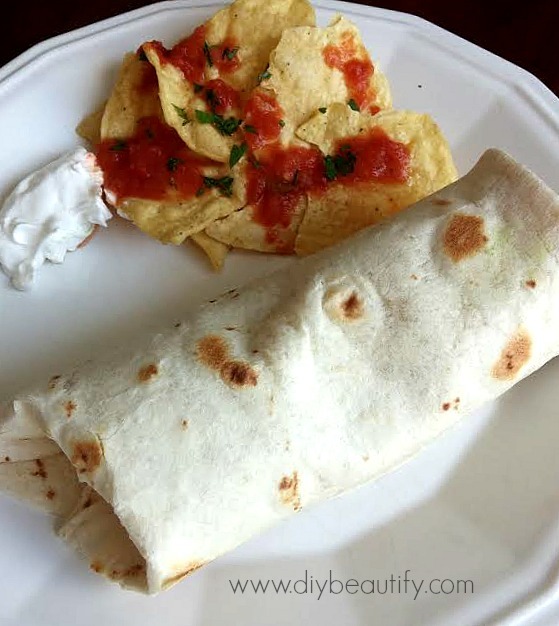 These burritos look so simple and delicious. I would be honored if you would come by and share at Foodie Fridays going on now. Hope to see you there. Stopping by to let you know I featured this delicious recipe on Foodie Fridays tonight. Hope to see you there! These sound absolutely delicious. Thank you, for sharing this.